Ricotta, one of the popular varieties of soft cheeses, is often used in common items like toasts, ravioli, and pasta. However, it is essential to take its boons and banes into consideration before adding it to your list of dairy products when you are expecting. Ricotta is considered safe in pregnancy as it is usually prepared from pasteurized milk . Eating dairy products made from raw or unpasteurized milk is a strict-no-no when pregnant since they have a risk of being contaminated with bacteria, which may lead to an outbreak of listeria [5, 6]. The pasteurization process involves heating the milk to a temperature to eliminate the harmful bacteria . Most cheeses sold in the United States at present, including most soft varieties, are prepared from pasteurized milk . However, while buying ricotta cheese you should still check the label to make sure it is marked as “pasteurized” [1, 5, 6], as those found in the farmer’s markets might be made using raw milk [4, 6], and thus are not safe for pregnant women. As long as you go for pasteurized cheese, cooking is not necessary. 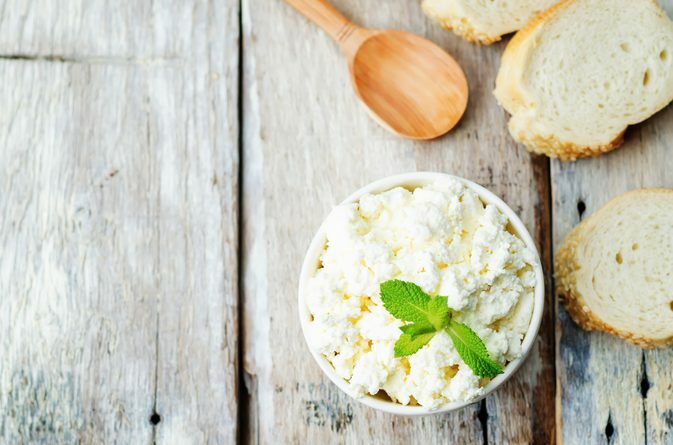 But, in case you are craving for some soft cheese pasta, but all you have at hand is some ricotta from the farmer’s market, you might still be able to have it, but only after cooking or baking it over a high temperature . Heating it over a temperature of 140 °F [2, 7] kills any potentially dangerous bacteria. If you fall sick or feel uncomfortable after eating ricotta, make sure to contact your doctor at once.